Yevpatoria (or Eupatoria) is a city on the East coast of Crimea. It was founded by the Greeks around 500 BC. With a population of 123.000 Yevpatoriya is a major Ukrainian Black Sea port, a rail hub, and a resort town. The population swells greatly during the summer months, with many residents of northern cities visiting for beach recreation. 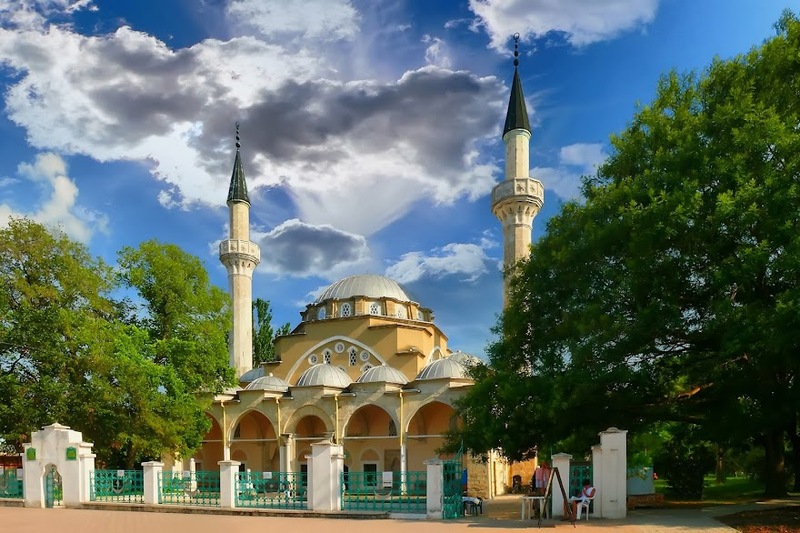 The Juma-Jami is the largest and most magnificent mosque of Crimea. Built between 1552 and 1564, and designed by the famous Turkish architect Mimar Sinan. During the Crimean War (1855) and World War II (1942) some heavy fighting took place in and around Yevpatoria. 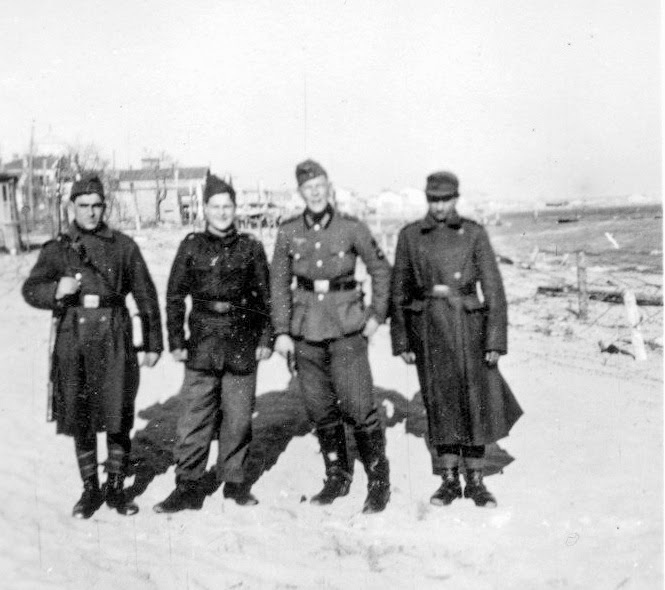 Crimea May 1942, Romanian soldiers accompany a German on the beach in Yevpatoria on the Black Sea coast. A magnificent piece of architecture - let's hope it stays safe in the future. Good post and a great photograph. It has a real 3D effect and wonderful colour. Let's hope there is no need for Florence N. to come back. Absolutely magnificent indeed, and perhaps it's the incredibly long winter, and endless grey skies that have been in my life since December, but what a marvelous day to visit and capture such a lovely photo.